To restate, I came here when Jazz was released. I thought this game was amazing. I now realize that Kabam is just as bad as real-life politicians, taking as much money to fill their pockets without having a second thought for the community. I'd say they're worse, but they aren't actually as bad seeing this is only a game. However, they're still bad. In the same post, I complained that MCOC was getting all the attention, like most people. It's so hard to understand why, like I said in the same post, Kabam can't just copy/paste the MCOC formula/treatment into FTF. Sure people would ask why these two games are a reskin, but at least it could appeal to two different communities. Seriously, I could probably make a better game than Kabam. It might not have stunning graphics or very good gameplay in terms of multiplayer, but I'd at least LISTEN TO THE COMMUNITY. Take some feedback, make a post saying that I've at least read player's feedback. You wanna know why this could actually be impressive? Because a fourteen-year-old, going on fifteen, knows how to actually run a game community. But Kabam devs have their thumbs up their transistors and won't do anything. Wouldn’t expect this one to last long, either. Why does this sound familiar to my 8th-grade history courses? Oh I know why! Because Kabam probably sees this as propaganda and they don't like the spread of it. Lads, if we're loud enough, we might get Kabam to listen to us! If their education goes beyond the eighth grade I doubt they’ll see it as propaganda, given they’ll surely realize what you’re saying doesn’t fit the definition. I'll be the one to catch the vitriol and say I'm excited for the event. I come from the mystical land of MCOC and their holiday event focuses SOLELY on who spends the most money on units to be able to earn points gifting items. The exclusive champs(Thanos and kang for mcoc) would NEVER be given for free from a calendar for logging in. You want one you're gonna have to open your wallet and spend for them when you get a chance. Sure grinding isnt ideal during the holidays but this event is certainly better than the MCOC GIFTING event(for those unaware you cant gift thing in your inventory, you must purchase those items from a store and give them to other players). Being able to play in special arenas and grind crystal shards is nicer then spend 4-5k$ trying to land top 3 for the 5*(remember the crystal event that awarded 5* Prime?). My fire suit is on bring the heat cause coming from years of kabam abuse in the form of MCOC, I'll take the heat for not trying to milk the playerbase during the holiday season. I'm already sensing that the grind will bring nothing worthwhile and will require energon supplementing to aid the grind, i.e. raid refreshing & energon deals with shards. 4* dotm Bee isn't really worth it other than being a collectors item. Scout Bee is worth it but for those of us who already spent to get the 4*, the 5* is the only worthy reward which is gonna be hard. I think for casual players and non spenders, this event has potential. @Bigbowlr listen mate, no one wanted something for free. I for one will use my free 4* Bee as forging material. The point being is that we get a 20 days event. Now to better explain my point of view - I'm playing since June this year. That's half of a year and most of the people in here have being playing for more than year and a half. 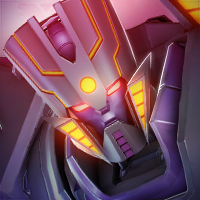 Yet for that period of time I've managed to get couple of 5* bots, one of which is my duped R3 Galvatron, max forged and max ranked my most used 4*. Yeah half a year, but that took some heavy grinding. Now, I don't like to look like I'm showing off my squad. There's a reason why I'm saying all of that, and the reason is that I've been busting my a## this whole time. Already done over 23k arena fights, something that many older players can't say about them. Every single day I'm playing and grinding, and grinding. Now see, here's the problem. I've hoped I would have seen that Bee Gauntled event myself and fight it myself, instead of just watching old videos. You know, that event when you are skilled enough, you can finish in a day? I've hoped I won't have to choose between my family and friends, and the game 20 days event, so that's the whole problem. Kabam should have made this event skill based, not time consuming based, because I'm completely sure that 80% of this game community will choose to have fun and celebrate, instead of doing same old raids and arenas. For me, that Gauntlet would have been a whole new game scenario, whole new game mode, something that I haven't seen till now. 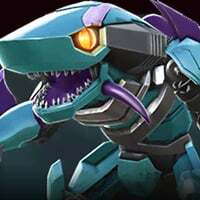 Also, we are yet to see what will be in energon store and what alliance event we are going to get (as there is no official announcement as of yet), so your theory about not milking the cow is yet to be proved right. Cheers guys, have a great holidays. The funny thing is that most of the guys on here complaining will spend more than enough money to buy the Bees from crystals. So the complaints are moot. Kabam makes more than enough off the whales. All the complaining about grinding and it turns out the arenas are capped at 350k. Maxing the milestone gets you 1/2 an elite crystal.